Occasionally I get questions from clients and post my answers publicly here. This simple question, “What are your ideas for SEO,” prompted me to write this blog post so I could help other people in addition to my client. On-Page Optimization – what you do on the website to attract search engines. In-Bound Marketing – what you do off the website to attract search engines. On-page optimization involves making sure the structure, meta information, and schema information is optimized for the site. Examples include using only one H1 tag, the page title, and meta description contain your primary keyword. In-bound marketing involves getting backlinks to your website or page from relevant sources in a variety of different ways. Examples include asking a relevant directory or blog author to post a link back to a relevant page on your website. The ‘low hanging fruit’ is to do a site audit to determine the state of your HTML tags, meta tags, and site schemas. After that, move on to backlinking to your existing content from your existing social media and then build out from there. H1, H2, H3, H4, H5, and H6 are all heading tags. “H1” should only exist once per page. Strong and Bold (b) are examples of style tags that search engines may use to know what is important. By using the keywords you want to rank for in the heading and strong/bold tags, you’re letting the search engines know that this page or website is about those keywords and so they should pay attention to them. Title: this is what displays in the top of the web browser, not necessarily what is shown on the page. Description: this is the short paragraph that displays under the title in search results. Both the Title and Description tags should contain your keywords, but they should be readable to the user, not just a list of keywords. And in case you’re wondering, the “Keywords” meta tag is now largely ignored by search engines. Schema.org: a collaboration between Google, Bing, Yahoo! to standardize structured markup. Facebook Open Graph: integrates your website with Facebook by allowing it to become a “graph” object. Twitter Cards: allows photos and videos to be displayed as Tweets using data from your website. Don’t worry if this is overwhelming. Most modern website templates contain SEO-optimized HTML tags, will prompt you for title and description tags, and will already contain the proper site schema structure. How Do I Know What Keywords to Use? All of SEO is predicated on the notion that you know what problem you’re trying to solve. Usually that problem is, “I want to rank for X” where X is the keyword they most associate with their business or the highest potential for income. If you don’t know what keyword(s) to go after, then the first step is to do keyword research. There are several ways to do this such as by using Google’s Keyword Planner Tool (part of Google Adwords) or by using an autocomplete tool like Ubersuggest. How Do I Get More Backlinks? 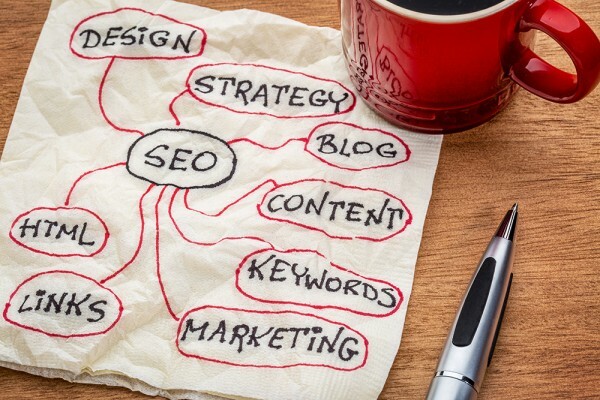 The best way to get more backlinks is to create more content. The best kind of content is the kind that answers people’s questions or is entertaining (i.e. is valuable to the reader). Seth Godin calls this type of content, “remarkable”. Once you have created content, you now have something to link back to from social media or relevant directories. If you’ve solved a problem for someone in a forum, you can legitimately link back to that post without fearing spam complaints because you’re being helpful. How Do I Know What Questions People Have? Quora: this is literally a website full of questions. Quora is like a more respectable Yahoo! Answers. Forums: online forums can be found by searching for your keyword + “forum”. Look for the sticky posts. Buzzsumo: this site shows you the most popular articles about a given topic using social shares as it’s metric. Once you know what keywords you’re trying to rank for, what questions people have about those keywords, and your site structure has been optimized for SEO, it’s now time to create SEO-optimized content to share. How Do I Create SEO-Optimized Content? SEO-optimized content is predicated on using a site that is SEO-optimized on-page (SEE “On-Page Optimization” section above). It’s key components are that the keyword is used in the title and the content is valuable. If you offer a service, explain how someone could solve the problem themselves. Be as detailed as possible. Show every step along the way. It will show how knowledgeable you are to those who want to pay and help those who don’t. What is My SEO Strategy? My strategy is to ensure the site has been SEO-optimized on-site, ensure all content has been backlinked to from social media at least once, and then begin creating new SEO-optimzed content to share on social media. I’ve been writing about SEO since 2009. A lot has changed over the years, but some things have not. Valuable content that answers the questions of the reader is good for both search engine results and the customer. If you’re interested in hiring me to consult with you about your SEO strategies, packages start at $200 per session for one-on-one SEO advice on your specific situation. I look forward to helping you with your business. 1. Separation of duties: keep the writing, editing, picture creation or capture, posting, and promotion processes separate. Even if they are all done by the same person, you’ll get better results if they are all done as separate tasks. 2. Internal interviewing: get staff members to interview other members about the topic and include the best excerpts as quotes in the blog post. This has a secondary effect of getting everyone more invested in the process. 3. Schedule time for blogs: when leadership allows staff to block off time for blogging activities, the results are two-fold. It allows dedicated time to achieve the stated result and let’s the team know that management is aligned with the outcome. 4. Measure the metrics: publicly record and distribute to the team the metrics you want to improve. For example, if you want more blog posts, track “# of blog posts per month”. Replace the metric with whatever element you want to improve. 5. Make it interesting: attribute goals and rewards for stretch goals based on blogging metrics. For example, if “# of blog posts per month” exceeds the stated goal, the team gets to go out for lunch together ‘on the office’ as a fun gift. Need more tips on blogging for business? Need some help writing blog posts for your business? Email me.